We can save you time and hassle during the US Visa application stage. Q: I was arrested/convicted of a crime years ago. Do I need a US Visa? A: Individuals who have been arrested for, or charged with, a crime may need to apply for a US Visa prior to travel. Q: I had a drink driving charge. Do I need a US Visa? A: ESTA will assess your eligibility for travel to the United States under the Visa Waiver Program. The assessment includes questions regarding previous arrests and/or convictions. However, a conviction for driving under the influence is not considered a crime of moral turpitude with regard to the Visa Waiver Program. If you choose to apply for electronic travel authorization via ESTA, the system will advise you whether you must visit a U.S. Embassy or Consulate to apply for a US Visa. Q: Does the U.S. recognize De Facto relationships? A: No, the U.S. does not recognize De Facto relationships, so to qualify as a spouse for a US Visa application you will need a marriage certificate from the Department of Births, Deaths and Marriages. Q: My I-94 wasn’t removed when I left the United States. What should I do to ensure that my departure is recorded? A: All departures are now reported to Customs and Border Protection by the airline or cruise ship upon which you depart. If you departed by a land border and your exit was not recorded you will need to contact CBP for further instructions. 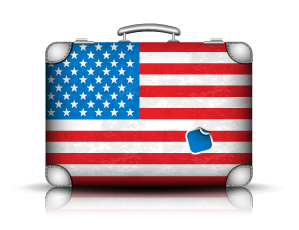 Q: Does the United States have a working holiday US Visa program? A: Yes, the student work and travel program allows Australian and New Zealand post-secondary students and recent graduates (within 12 months of graduation) to work and travel in the United States for up to one year. Q: What is the difference between a work visa and an E-3 visa? A: An E-3 visa is a certain type of work visa available only to Australian citizens. Q: What is an E3 visa? A: An E3 visa is a work visa classification available only to Australian citizens working in specialty occupations. There is an numerical limit on the number of 10,500 E3 visas that can be issued every year. Q: What is a specialty occupation for E3 visas? A: A specialty occupation is a job that requires a theoretical and practical application of a body of specialized knowledge, a bachelor’s or higher degree (or its equivalent in work experience) as a minimum for entry into the occupation in the United States, and state licensures to practice in the occupation, if required. Q: What documents do I need to present at my interview for an E3 visa? A: At a minimum, you must have your valid Australian passport with at least two blank, facing visa pages and a completed Form ETA-9035 (Labor Condition Application for Non-immigrant Workers, also known as an LCA). The LCA should be signed by your employer on Page 4 and be approved by the Department of Labor on Page 5. You may also need to present proof of attainment of the required bachelor’s or higher degree, or its equivalent in work experience as determined in writing by an accredited evaluator. Q: Can my spouse and/or children accompany me to the United States if I get an E3 visa? A: Yes. Married partners and unmarried children and step-children under the age of 21 can qualify for E3D (dependent) visas based on their relationship to you. E3D applicants should be prepared to provide proof of relationship by presenting marriage or birth certificates issued by the Department of Births, Deaths, and Marriages. Q: How long can I live in the United States with my E3 visa? A: The maximum validity of E3 visas is two years, however the US Visa may not be issued for a period longer than shown on the approved LCA. There is no maximum number of E3 visas a person may obtain consecutively, but at each application, the applicant must convince the interviewing officer that their stay will be temporary in nature. Q: Can I change from an E3 visa to a Green Card? Q: Is there an age limit to apply for a work US Visa? Q: Can I get a US Visa to do casual work? A: The only US Visa that permits casual work is the Student Work and Travel Program J1 visa. All other work US Visas require a single sponsoring employer. Q: Can my relative in the U.S. sponsor me? A: Only your employer can sponsor you for work. We can assist to get your US Visa application approved! Q: What is the difference between a fiancé(e) visa and visa for your spouse? A: The U.S. citizen files a petition for their fiancée if the couple plans to marry in the United States. With a fiancée visa, you must marry within 90 days of entering the United States and apply for legal permanent residency after the marriage. The U.S. citizen files a petition for their spouse if the couple is already married, the spouse currently resides outside of the United States, and the spouse wishes to immigrate to the U.S. Lawful permanent residents (green card holders) may also file immigrant visa petitions (but not fiancé(e) petitions) for their spouses. Q: We can’t wait to go through the immigrant visa process. What else can we do? A: If it is your intention to move permanently to the U.S., you are advised to apply for an immigrant visa. Attempting to enter on a non-immigrant visa or the visa waiver program is not advisable and could result in your involuntary return to Australia. 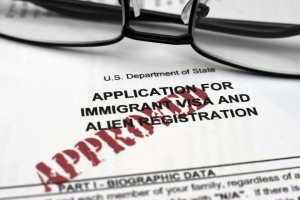 Q: Where does the K-3 non-immigrant visa fit into the immigrant visa process? Will this allow me to enter the U.S. any earlier or is it a similar process with a different visa class? A: While a K-3 visa may seem like a quicker way to immigrate to the United States, the procedures and time frame are similar to the immigrant visa process. Q: My fiancé(e) is petitioning for me, but what about my children – can they go with me? A: Any unmarried child under the age of 21 can apply for a “derivative K2” fiancé(e) visa with you. The child must be under 21 years of age and unmarried at the time of their entry into the U.S. with their K2 visa. Q: Is it possible to apply for a tourist US Visa, then apply for immigration or adjust my status after I arrive? A: Generally not. If you intend to remain permanently in the United States, attempting to enter on a non-immigrant visa or under the visa waiver program is not advisable and could result in your involuntary return to Australia. In order to be granted admission on a non-immigrant visa or under the visa waiver program, you must prove that you have a residence outside the United States. to which you intend to return. It is at the discretion of Customs and Border Protection at the U.S. port of entry whether to grant a traveler admission. Many categories of immigrant visas involve long waiting periods before the visa can be issued. It is generally not possible to spend this period in the U.S.
Q: Can I enter the U.S. and wait while the US Visa is being processed? A: Generally not. 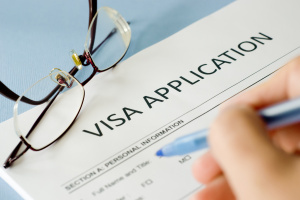 Many categories of immigrant visas involve long waiting periods before the visa can be issued. It is generally not possible to spend this period in the U.S. If you intend to remain permanently in the U.S., attempting to enter on a non-immigrant visa or under the visa waiver program is not advisable and could result in your involuntary return to Australia. In order to be granted admission on a non-immigrant visa or under the visa waiver program, you must prove that you have a residence outside the U.S. to which you intend to return, at least temporarily. It is at the discretion of USCIS at the port of entry whether to admit a traveler in that case. If you are granted entry you can make an application to USCIS for an adjustment of status. If your application is approved, USCIS will give you permission to remain in the U.S. whilst you conclude processing your adjustment of status application. If they reject your application, you will be required to depart the U.S. and apply for an immigrant visa through at the U.S. Embassy or Consulate in your country of residence. Q: Can I enter the U.S. under the Visa Waiver Program while I’m waiting for my American Visa interview? A: You can travel to the U.S. on the Visa Waiver Program, however, your entry into and length of stay in the U.S. will be determined at your first U.S. port-of-entry. No one can be guaranteed, prior to their arrival at a U.S. port-of-entry, whether or not they would be granted permission to enter the U.S. Please bear in mind that in order to be admitted, you must still demonstrate that you have a residence outside the U.S. to which you intend to return, if even for a short time. Q: Does the U.S. citizen have to attend the interview? A: It is not a requirement for the U.S. citizen to attend the interview, however, if they are in Australia at the time of the scheduled appointment, they are welcome to accompany the beneficiary to the interview. Q: How long must I remain in the U.S. after I have entered on the immigrant visa? A: U.S. law does not specify how long one must remain in the U.S. after first entering. Immigration officials, at the time of your return to the U.S., will look very closely at the amount of time spent away from the U.S. If they determine that you have been spending more time out of the U.S. than in the U.S., they are empowered to revoke your lawful permanent resident status. You would then have to re-qualify for permanent resident status. Q: I have a criminal conviction, can I still immigrate to the U.S.? A: Certain criminal convictions represent ineligibilities to immigration. Please be prepared to provide at your interview an original and one photocopy of the court transcripts along with an original and one photocopy of the statute under which you were convicted. The consular officer will determine whether an ineligibility exists and advise you as to whether you will need to seek a waiver of this conviction. Q: When we immigrate, can our parents/ nanny come with us? A: Each must qualify for an immigrant visa in their own right. Before you begin a US Visa Application, talk to American Visa Services about a free US Visa briefing and assessment. Determine the barriers or constraints on your application before all the paperwork is completed and lodged! Then all you need to worry about is packing your bags.